Home Recommended Interviews Does it still make sense to talk about military service? Does it still make sense to talk about military service? 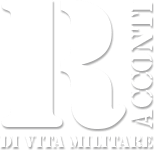 The theme of the revival of military service has recently been imposed on the national debate after the declarations of the Minister of the Interior, Matteo Salvini, aimed at reintroducing it in a reduced form compared to the past, and those of the Defense Minister, Elisabetta Trenta, who on the contrary, it is expressed in terms that are anything but positive, blocking the proposal at birth. Defense Onine talked about it with the gen. Antonio Li Gobbi, an officer with extensive national and international experience. Li Gobbi has in fact participated in UN interventions in Syria and Israel and NATO in Bosnia, Kosovo and Afghanistan (as Deputy Chief of ISAF Operational Staff in Kabul in 2005-2006). He was, inter alia, Chief Operations Officer of the Joint Interforces Command Command (COI), Director of Operations at the NATO International Staff in Brussels, Commander and Inspector of Engineering. 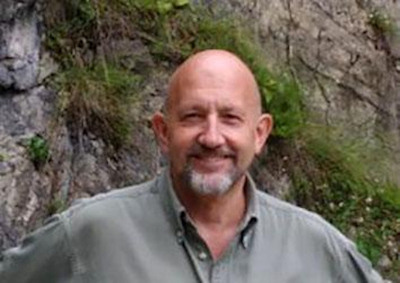 Since leaving the service, he is very active for his comments and articles on specialized publications, and to participate in conferences on topics of current geo-political and military. General, we see in this Ferragostan afa a heated debate on the proposal to reintroduce leverage and a critical divergence of views on the matter between the Ministers Salvini and Trenta. You who have experience of the needs connected both with our international commitments (NATO, but not only) and those at national level, who believes that you are right? They are right both! Mind you, the problem can not be schematized and simplified (I would say almost trivialized) as it happens to fill the newspapers in August. Salvini captures the (real) need to strengthen the relationship between "citizen" and "Nation" (I do not like the abused term of the country) overturning the terms of the "give-have" relationship, "rights-duties". As JF Kennedy said "do not ask what your country can do for you but what you can do for your country". It is necessary, today in Italy, that the citizen does not perceive the State only as a tax collector or an ATM (think about the income of citizenship) but also as a "community" to which he / she belongs and which each one must provide their own individual contribution. A fundamental cultural approach for the moral "glue" of any nation. A "leverage", moreover very short (we are talking about 4-6 months) would not even provide the basis for this use and would result in a loss of time and resources for the FA without any practical return for the needs of defense and security. A diplomatic answer, that is, a shot at the circle and one at the barrel? I did not expect it from you! No. Let's leave aside the cost aspect for the moment (which, as we will see, represents what the Anglo-Saxons call "show stopper" or the element that could put everything to silence) and we try to see, at least at a theoretical level, how this initiative could take shape, which is certainly positive in the objectives it proposes. Meanwhile, the duration not to be an absolute waste of time should be at least 6 months (between training and a minimum of operational employment) followed by at least 6 months in which the interested parties could be recalled to deal with emergencies. On the other hand longer durations would not be socially acceptable (think not only to workers but also, for example, to university students who maybe want to go abroad to attend Erasmus courses). Tasks should primarily be tasks of public utility or of territorial control or intervention in the event of public disasters. Quite elementary tasks, as the basic training phase could not realistically exceed 50% of the period (three months). Without any pretension to be exhaustive, I think we could assume tasks in support of "civil protection", the Red Cross, the Carabinieri Forestali or the Provincial Police, activities in national parks, activities of "night watch" (preferably disarmed) in neighborhoods degraded of our cities, et cetera. I also think that a number of young people selected, psychologically and physically, could be trained (by police forces or, at most, by the army) to cope with tasks like "Safe Roads" (fairly static and repetitive tasks that do not require the expertise of our "professional" soldiers). All tasks that, in fact, have little to do with those of the Armed Forces. The coordination skills of the activity? Unless we invent an appropriate dicastery, which would seem excessive to me, coordination could go back to the Ministry of the Interior. This is due to the typology of the hypothetical sectors of use and to the widespread presence of its organisms on the territory (something that the Defense has not had for more than twenty years). Obviously the Regions (under a strict coordination of the Ministry of the Interior) should be given responsibility in this regard and would have an important role in this organization. The recruitment procedures, the finding of housing, the interaction with other realities operating in the territory, etc. these are just some of the many activities that could see an important involvement of the Regional Administrations too. To use an English expression "yes, but not in my back yard"(Yes, but not at my house). That is, nice idea, but do it without FA! Do you really believe that the FAs do not need a military service to build up trained reserves to recall in the event of a larger-scale conflict? The risks to our safety (at least the most perceived ones) have focused more on the outside and sometimes even very far from our borders. This situation required "expeditionary" and readily usable and expendable forces (thus reducing the "quantities" to have higher "qualitatively" forces). The international context and a traditionally "shy" foreign policy have led us to hypothesize developed military interventions exclusively in the multilateral (NATO, UN, EU) and not purely national (as they continue to do in Europe UK and France, of course also in relation to the different foreign policy). Therefore, it was not considered necessary to have the strengths and the skills to conduct an operation in full, but the necessary skills were enough to contribute, together with others, to an operation (albeit in a very substantial way, as we do in many Theaters ). This approach has also offered the justification for reducing "organic volumes". The international scenario changes rapidly, the stability that was imagined at the beginning of the nineties, when we talked about "dividends of peace", did not actually materialize! In Europe too, crises emerge that could degenerate (think of the tension between Ukraine and Russia, the unpredictability of Turkey, which could create new casus belli in the Eastern Mediterranean region, to problems never completely resolved in the Western Balkans, etc.). If they were to serve the soldiers (and important numbers) to deploy on the ground, in addition to technology and expertise, where would we pick them up? The leverage made it possible to recall in a short time hundreds of thousands of recently discharged retirees who could in a short time be reconditioned and sent to the front. uses also in low-intensity theaters, to complete "professional" units. In this theoretical pool of resources, the volunteers could also be included in fixed stops, which do not go into effect. This is a real and serious problem that needs to be addressed and studied, but I do not think it can really be solved with a lever of 6 months. Nothing to do, then with what was proposed in these days nor, let alone with the "mini-naja" of Minister La Russa. Agreed, but do you think that the FA can at least contribute with their own resources and their experiences to this project of the "lever" hypothesized by the Minister Salvini? Here the answer, in my opinion, is definitely positive. transmit expertise in the field of leverage, recruitment and health selection to the bodies that will be deputies. I'm talking about "transmitting the expertise" because by now the old Military Districts were partly closed and partly anemic, until they became "document offices" and would no longer be able to perform the old functions on the territory. Similarly, the Military Health organs, which represented a well-articulated network throughout the national territory, were almost all closed. provide qualified personnel (I think to the Permanent Service Volunteers and to the Non-commissioned Officers with more experience, but maybe for reasons of age less usable in external operations) as instructors and trainers. However, it would be a matter of providing expert staff to the organizations that were in charge of managing the activity not to assume the leadership of the formation of the future "conscripts". So, do you consider the project "leverage" hypothesized by the Minister of the Interior possible? Everything is possible! Obviously, these are choices. To do this, instead of that! To dedicate resources to one project rather than another. Another thing is worth it and if we can afford it right now. preparation of training and training programs and employment paths to be agreed with all the organizations in which these young people would be sent to work (for example, Civil Protection, Carabinieri Forestali, etc.). I take it for granted that, in order to pursue the objectives that Minister Salvini proposes, the commitment required for boys and girls should be very different and more significant than that required by the current so-called "civil leverage". Their training should be inspired by extreme seriousness and competence (on pain of the inevitable loss of credibility). I believe, therefore, that this training should be left to "professionals", not to certainly willing associations, which (despite their undoubted merits) would seem to me improvised in this delicate function. Obviously, I will not go into the merits of evaluations, policies, if the costs are compatible with the objectives that we intend to pursue, etc. Of course, the choice can not be made on the basis of the memory of a "naja" considered by some as "highly formative" and by others a "loss of time and opportunity". To make sense (and personally I think it could certainly have), it should be a new, modern thing free from romanticism and easy-going. An initiative that does not attempt to "mimic" the Armed Forces. That is "joke with the Saints, but leave the Fanti alone" if he allows me! In conclusion, the proposal of Minister Salvini highlights a problem of lacking formation of the "spirit of active citizenship" that exists and should be addressed. Moreover, the FAs are not, in my opinion, the most suitable context in which to give life to this interesting experience. This is because the FAs, which have absolved from the unification of Italy at the end of the twentieth century a fundamental role to amalgamate and form (also culturally) the nation, have different tasks. Moreover, if the project (whose costs would certainly be substantial) had to be started, the FAs could provide important expertise and instructors to make the project work better and, eventually, take responsibility for training and training for some specific activities (eg. the aforementioned "safe roads"). Finally, this discussion should not make us forget the serious problem connected with the progressive aging of our military and the need (in an increasingly fragile and volatile geo-political context, even at the doors of our house) to equip ourselves in time the ability to dispose of adequate "reserves" that are motivated, trained and readily mobilisable. 1 (Nd A.) To date, only the Army has well graduated 38.845 (or caporali in various degrees) in permanent service in the face of only 22.518 corporals and soldiers in fixed stance (component that then rotates, or could rotate, and could be kept young ). The latter represent, that is, the low 37% of the total. Considering also Officers, Marshals and Sergeants, the "permanent contract" component goes up to 71.528 on 94.046 (I do not consider the students of academies and military schools) equal to 76%!